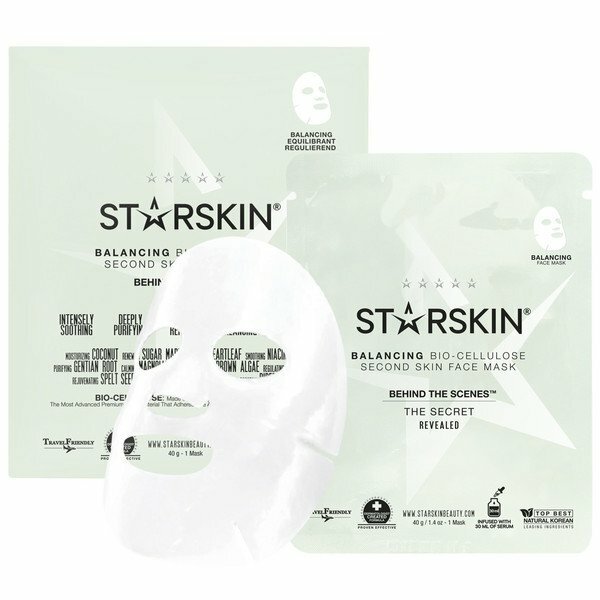 STARSKIN® Behind the Scenes™ is a Bio-Cellulose Balancing Face Mask that instantly calms blemishes and relieves redness for soothed, balanced skin. STARSKIN’s premium Bio-Cellulose is formulated with naturally fermented, vitamin-rich coconut juice, and purifies and refines the complexion without irritation. 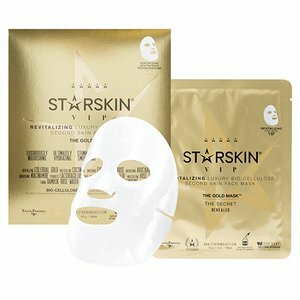 The translucent cooling sheet mask contours closely to the face to deliver a powerful complex of skin-balancing Vitamin B and Gentian Root, which works to minimize the appearance of pores and blemishes. 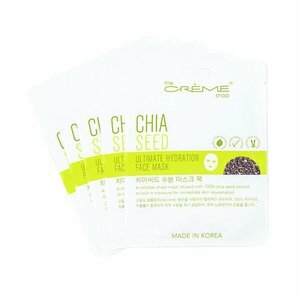 Each face mask is soaked in 30ml of serum that leaves skin fresh-faced. Get the behind-the-scenes secret of actresses for flawless, poreless skin. Key Benefits Intensely soothes blemish-prone, irritated skin. 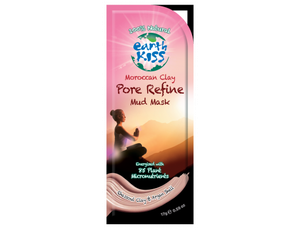 Visibly minimizes pores. Easy-to-use, next generation Bio-Cellulose delivers results in 20 minutes. How To Use Refrigerate the unopened sachet for 10 minutes before use to enhance the energizing and cooling effect. 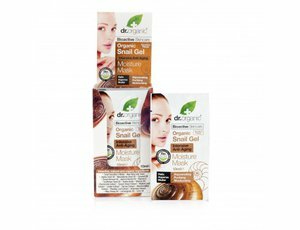 Before opening sachet, use fingertips to gently distribute serum evenly. 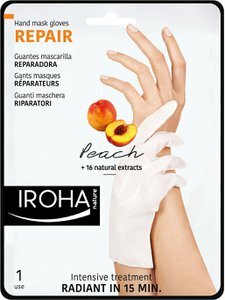 Open the sachet, take out mask and carefully unfold. Remove and discard the protective outer layers. Place the Bio-Cellulose sheet onto the face, adjusting the eye, nose and mouth openings. 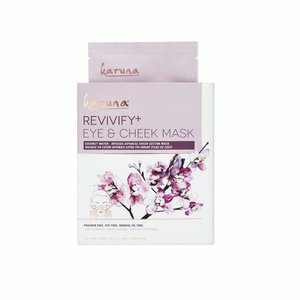 Gently smooth mask over entire face, eliminating any folds or air pockets. Leave on for 15-20 minutes before removing the mask. Gently pat any remaining serum into the skin - no rinsing necessary. For best results, exfoliate the face first with STARSKIN® Glowstar™ Foaming Peeling Perfection Puff. Apply makeup after treatment for professional results. 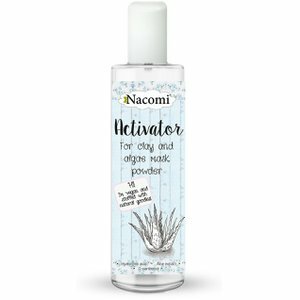 Ingredients Water (Aqua), Butylene Glycol, Glycerin, Niacinamide, 1,2-Hexanediol, Lactobacillus/Leuconostoc/Cocos Nucifera (Coconut) Fruit Extract, Betaine, Chamomilla Recutita (Matricaria) Flower Extract, Melissa Officinalis Flower/Leaf/Stem Water, Hydroxyethyl Acrylate/Sodium Acryloyldimethyl Taurate Copolymer, Houttuynia Cordata Extract, Acer Saccharum (Sugar Maple) Extract, Portulaca Oleracea Extract, Saururus Chinensis Extract, Triticum Spelta Seed Water, Xanthan Gum, Rosa Damascena Flower Water, Artemisia Capillaris Flower Extract, Ethylhexylglycerin, Ledum Palustre Extract, Achillea Millefolium Extract, Anthemis Nobilis Flower Water, Calendula Officinalis Flower Water, Ecklonia Cava Extract, Caprylyl Glycol, Arnica Montana Flower Extract, Fragrance (Parfum), Gentiana Lutea Root Extract, Artemisia Absinthium Extract, Sodium Benzoate, Potassium Sorbate, Citric Acid, Magnolia Obovata Bark Extract, Caesalpinia Sappan Bark Extract, Terminalia Chebula Fruit Extract, Acetyl Dipeptide-3 Aminohexanoate.